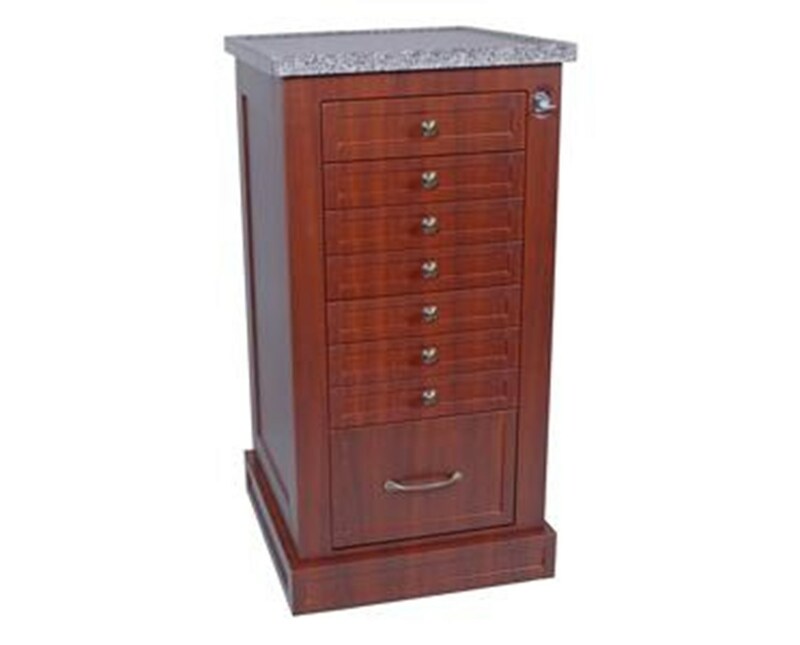 The Harloff Wood Laminate 108 Unit Dose Medication Cart is a medical storage device designed with a natural furniture look that has the same functionality of Standard Harloff Carts. Because of this, its internal design and locking system, the Medication Cart meets the requirements for long-term care. Awesome and Durable Design. With an Aluminum Base and an Internal Frame, the 108 Unit Dose Medication Cart features MDF Panels covered with a special heat-pressed thermal foil wood laminate. Eight aluminum drawers are installed and powered by ball-bearing, full extension slides. 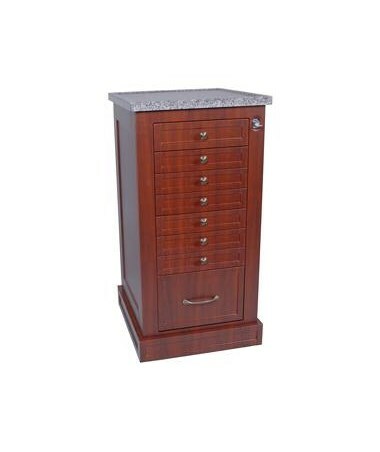 It is configured with one 4-inch Multipurpose Storage Drawer, six 3.25-inch drawers with internal dividers and one 9.75-inch punch card drawer with internal locking narcotics box. With this configuration, the cart provides the user with effective storage and accessibility. Hassle-free Maintenance and Movement. Mounted on 4" Premium Ball-Bearing Full Swivel Casters with two toe-locking brakes and one directional, the Wood Laminate 108 Unit Dose Medication Cart can be transported around the facility easily. It features a bottom skirting which is meant to conceal the casters. The cart is protected by a BEST® Brand Key Lock while the Narcotics Box has the Illinois Lock to secure it. Made to be washable, the cart can easily be cleaned and maintained with soap and water. Number and Size of Drawers (1) 4", (6) 3.25", (1) 9.75"